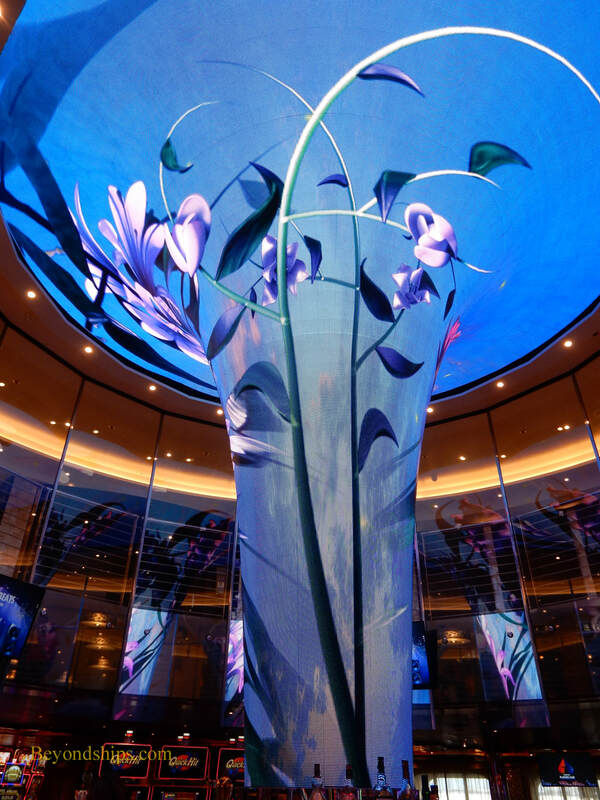 Above: A giant LED sculpture called the Dreamscape rises from the lobby and extends three decks high. The designs on the sculpture change from abstract designs to photo realism. ​Below: A similar but smaller tower extends upwards from the casino bar into the deck above. Carnival Horizon is the second ship in Carnival Cruise Line's Vista class. She is similar to her sister Carnival Vista but not identical. The interior color scheme is slightly brighter and she was built with a few new features (e.g., a Teppanyake restaurant). Like her sister, Carnival Horizon is a large family-friendly ship. She offers numerous dining, entertainment and sports options. There are also extensive facilities for children and young passengers. 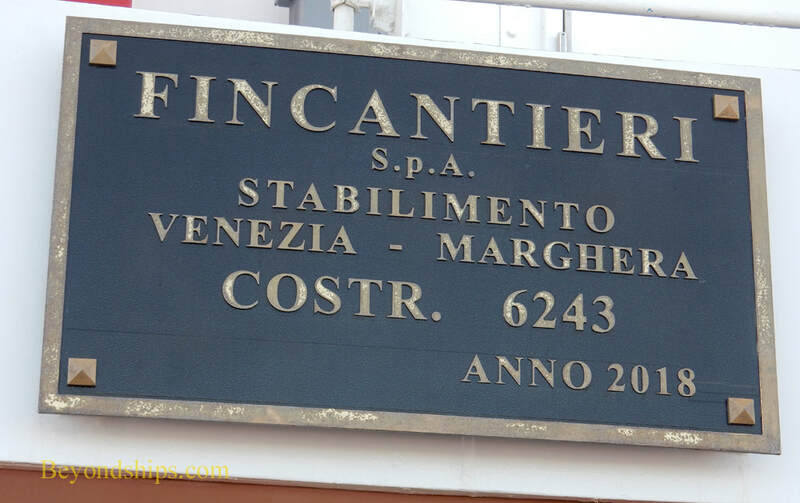 As a result, even though the ship can carry nearly 5,000 passengers, it is not overcrowded because passengers tend to spread out through the ship. There is space to be by yourself. 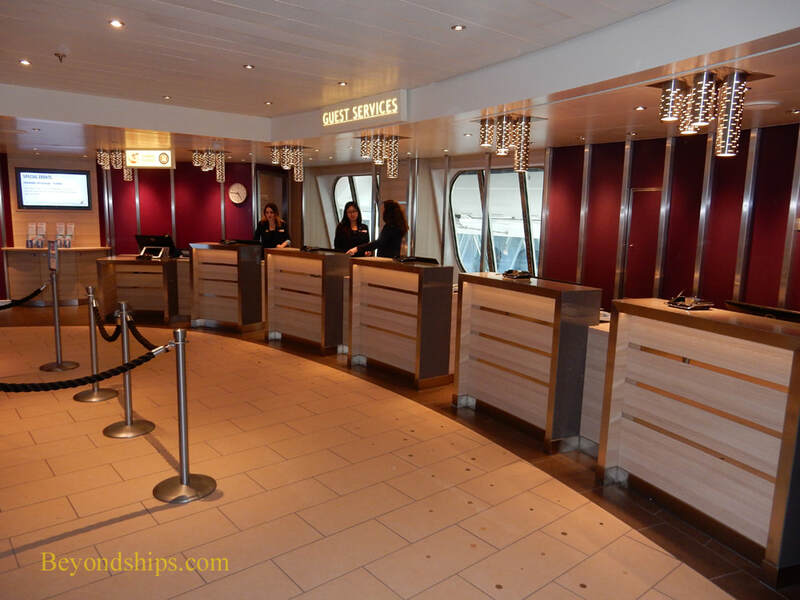 Most passengers on Horizon are American and the ship is geared to American tastes. While passengers come from all age groups, there are quite a few young families with children. 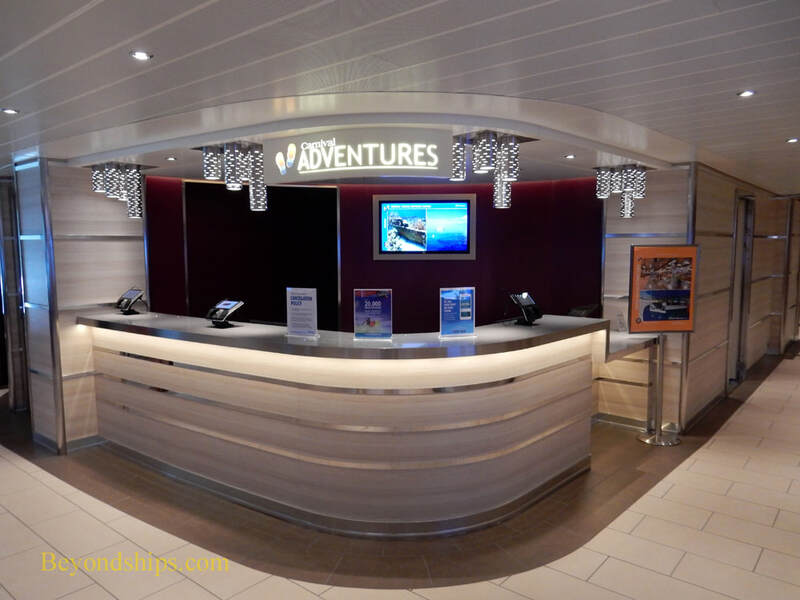 Carnival Horizon presents a more mature version of the Carnival cruise experience. 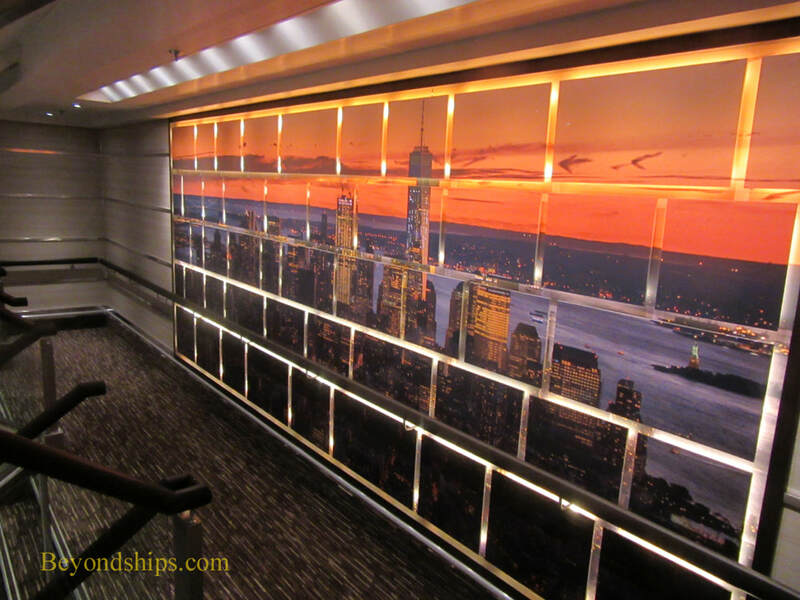 Following in the footsteps of Carnival Sunshine, the interior is quieter and more hotel like. 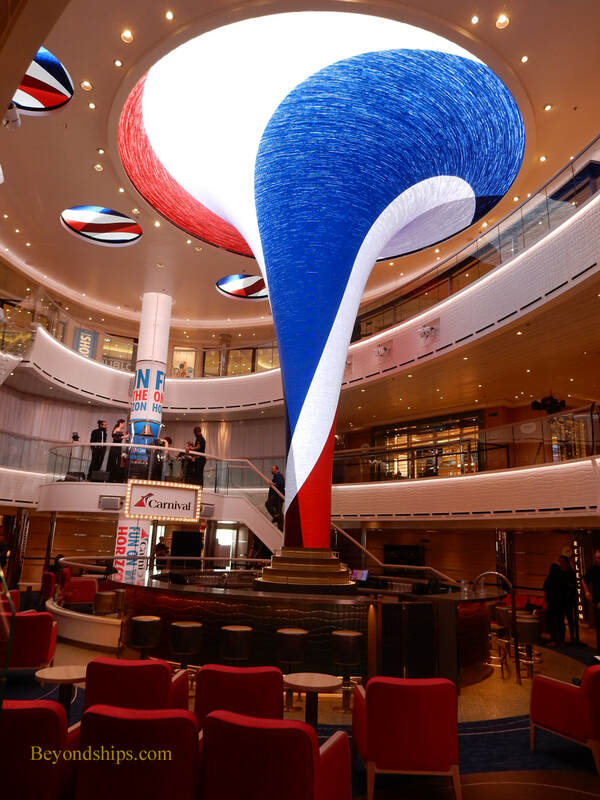 Gone are the extravagant and imaginative interiors of earlier Carnival ships. Moving upmarket, there is more of an emphasis on quality. Still, the watchword on Carnival Horizon is fun. The programming is geared toward providing an informal and energetic cruise experience. 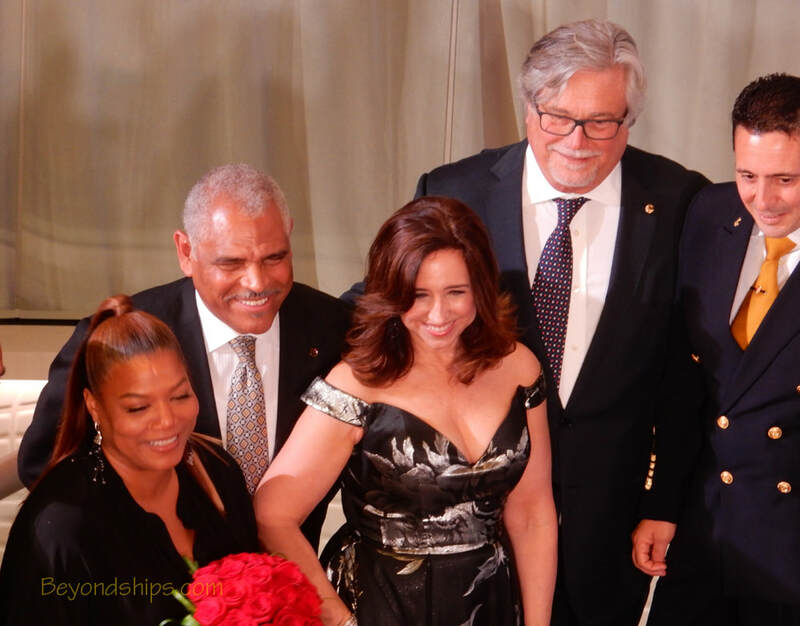 Queen Latifah, godmother of Carnival Horizon with Arnold Donald, CEO and President of Carnival Corporation, Christine Duffy, President of Carnival Cruise Line; Mickey Arison, Chairman of Carnival Corporation and Captain Ludi De Angelis. 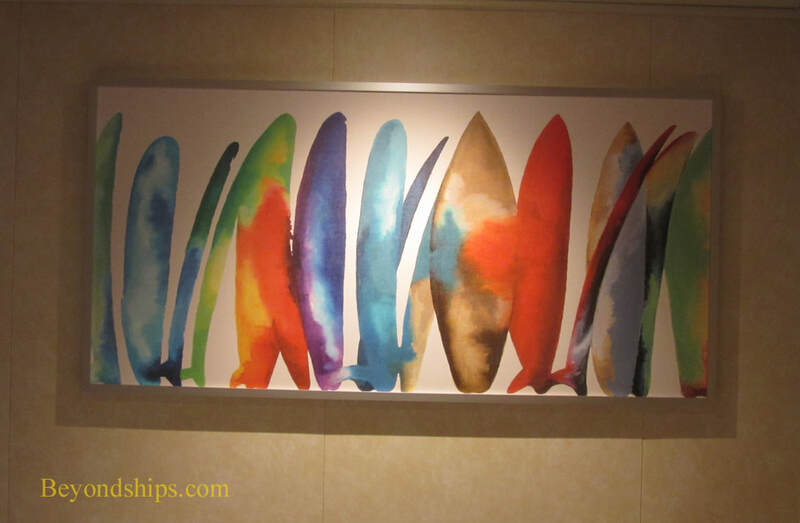 ​Above: For the most part, the art in the public areas on Carnival Horizon is photographic and located on the staircases. Above: The Guest Relations Desk in the lobby at the base of the atrium. Left: The shore excursions desk is on the other side of the lobby from Guest Relations.